In terms of physical appearance, we have nothing in common with them. But if we stop for a second and look beyond the surface, we might find more similarities between ourselves and the mighty elephants than we would have guessed. The African elephant is the world’s largest land animal and is divided into two subspecies. The larger savanna elephant prefers grassy plains and woodlands and can be found in 37 countries in sub-Saharan Africa. The smaller forest elephant, or bush elephant, inhabits the equatorial forests in central and western Africa. They once roamed the entire continent. Not anymore. Today, elephant safaris take tourists to special areas within African national parks and nature reserves to observe the majestic elephant in its natural habitat. Along with some of the best African safaris, we also share with you 8 incredible facts about elephants that you might not have known! 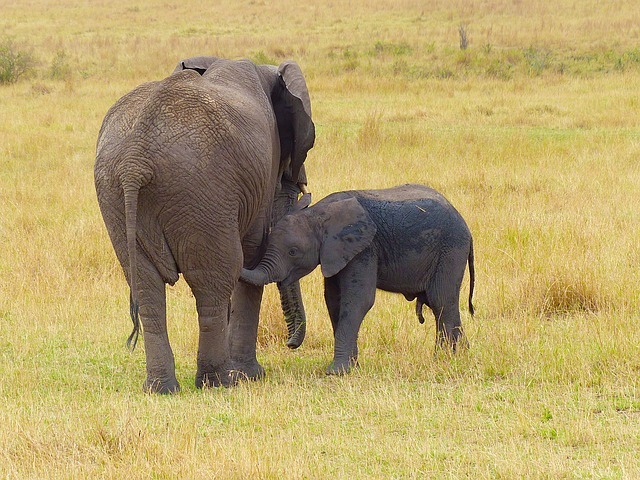 Elephants are social animals that support, comfort and even hug each other. They live in units usually comprised of a herd of mothers, their offspring, sisters and female cousins, led by an older matriarch. All members take care of their young. When they hit puberty at 14 years old, male elephants leave the herd and join bands of bull elephants. Quite often, several family units will join hands, or in this case, trunks, to form large clans of around 70 members, all led by a female. Off-the-beaten-path, the Republic of Chad is not on the average tourist’s bucket list. Until recently ravaged by civil war and political unrest, the semi-desert country in Central Africa is still recovering from its wounds. Yet it tells a success story we all need to hear to get our hopes up. For many years until 2010, there have been no new births in Zakouma Park. Poaching got out of control resulting in elephants being too stressed to mate. Since 2012, the population has recovered in a spectacular manner. Last year alone, 70 calves were born and now over 500 individuals call the park their home. Overall, Chad has an estimated savanna elephant population of over 700 individuals that can be observed in impressively large herds. With great eyesight, excellent sense of smell and sharp hearing, African elephants have a complex communication system. When they sense danger, they alarm others by using a loud growling noise. They also use low-frequency rumblings that can travel up to 4.3 miles (7 km). By flapping their ears, elephants communicate emotion, aggression or joy. Their massive ears also protect them against the scorching African sun by repelling the heat. 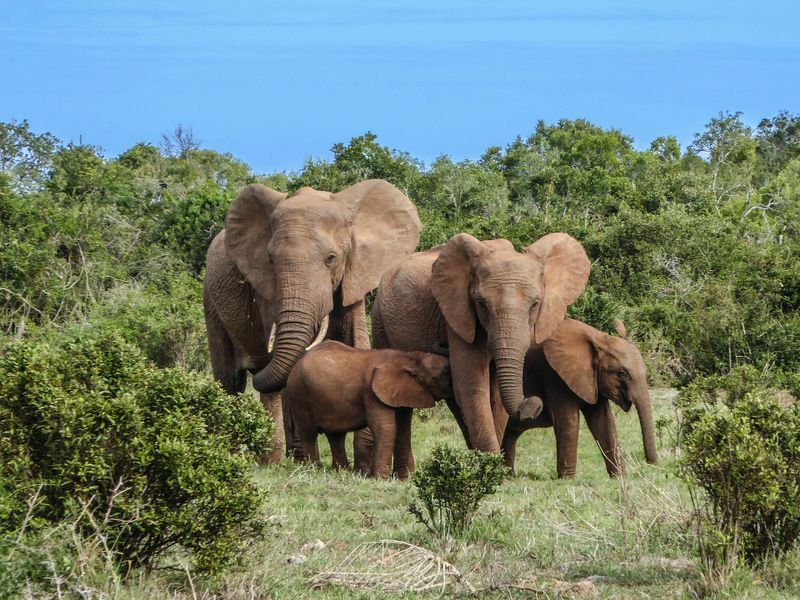 South Africa is one of the few countries on the continent where elephant population appears to be increasing at a steady rate, currently counting 17,433 savanna elephants. In Kruger National Park elephants can be seen in large herds. 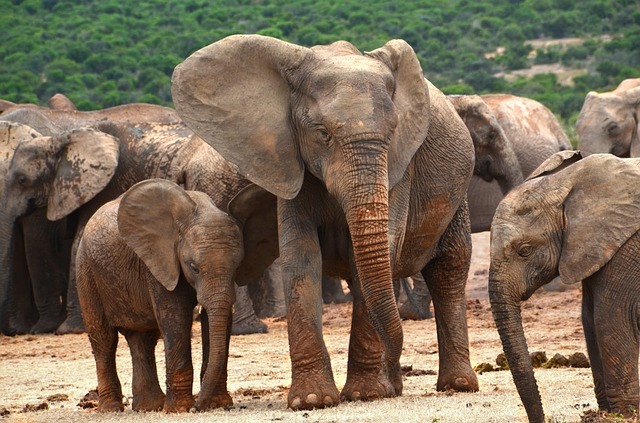 Addo Elephant National Park near Port Elizabeth holds a few records of its own. 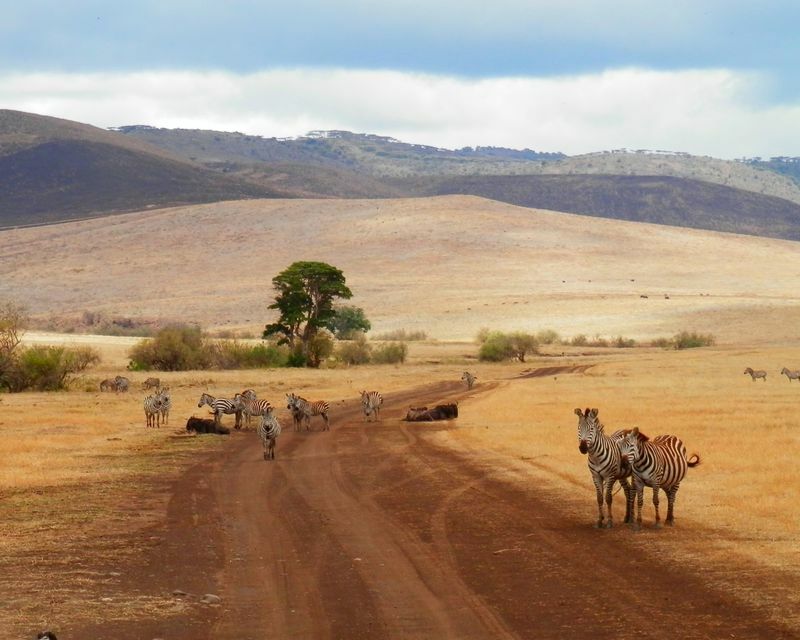 It is South Africa’s third largest park, home to the world’s densest elephant population and the only park on Earth to boast the “Big Seven” – in addition to the Big Five, tourists can see southern right whales and great white sharks. Remember how I mentioned elephants and humans are closer than you might have expected? To start with, their brain structure is very similar to ours. Furthermore, they live just about as long as us – life expectancy is 70 years. Female elephants, referred to as cows, can only give birth once every five years. The gestation period lasts 22 months, and they are extremely caring and protective of their young, keeping them close for many years and passing on the herds’ knowledge. Overall savanna elephant population in Zambia counts around 21,750 individuals. South Luangwa National Park and Kafue National Park, the second largest in Africa, have stable, possibly even increasing populations. Unfortunately, a decline in numbers has been observed in the Lower Zambezi National Park, along the Kwando River and on the border with Namibia and Angola. Elephants are much more than an impressive sight, they play a key role in the environment. They travel long distances, excreting plants seeds in various places. In fact, 90 different tree species depend on elephants for propagation. In dry areas, they dig holes and expose underground springs that small animals can drink from. And they dig wells to purify their drinking water. Namibia’s desert elephants are not a separate species but they do have their particularities – they have adapted to the harsh conditions of the desert. Sadly, being special also means that they are threatened by extinction – Namibia’s government continues to sell hunting permits, turning its elephants into much-coveted trophies. Desert-dwelling elephants still inhabit the Kunene Region in northwestern Namibia, where approximately 600 souls roam the arid plains. 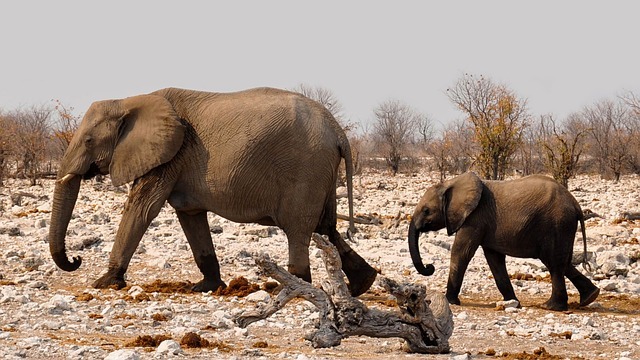 Etosha National Park is home to around 2,500 elephants. 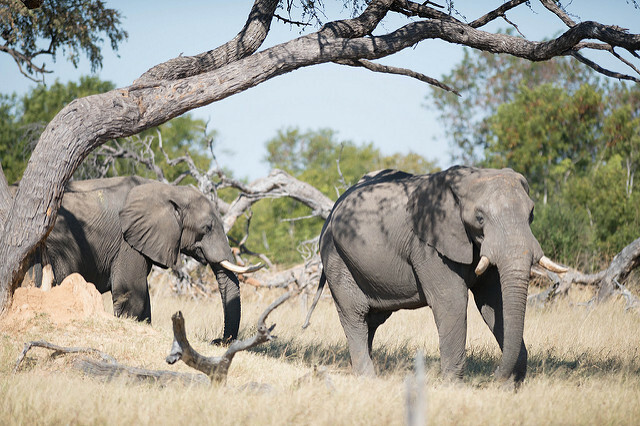 Thousands more can be seen throughout Namibia, which totals about 23,000 elephants according to the 2015 census. Elephants recognize themselves in the mirror, which is something that very few animals can – great apes, dolphins and humans, to be more precise. What’s more, their social network is not only complex but also vital to their survival. We’ve all heard that saying – to have a memory like an elephant. Well, they remember their past, recognize loved ones and long-lost friends. And they can hold grudges. 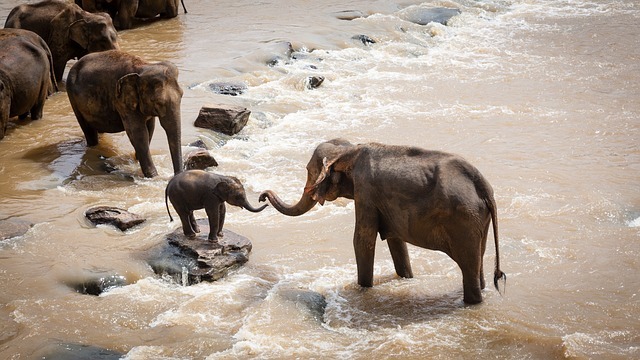 Elephants show compassion – they care for the wounded and grieve their dead. They have been observed to visit the bones of deceased members of their family for years in a row, touching the remains with their trunks. Kenya deserves a place on our list with an estimated 25,959 savanna elephants and a stable population. Together, Tsavo East and Tsavo West form the largest protected area in the country and are home to Kenya’s largest population. 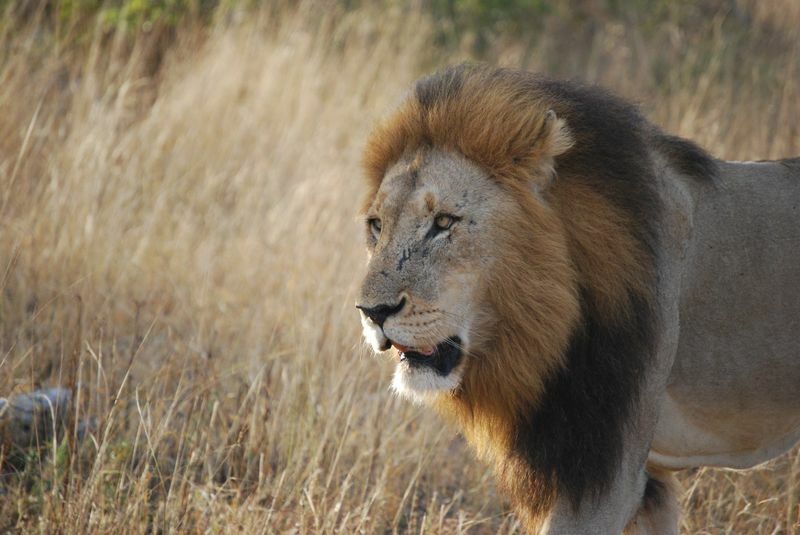 Kenya recently received $150 million from the US to support wildlife conservation. 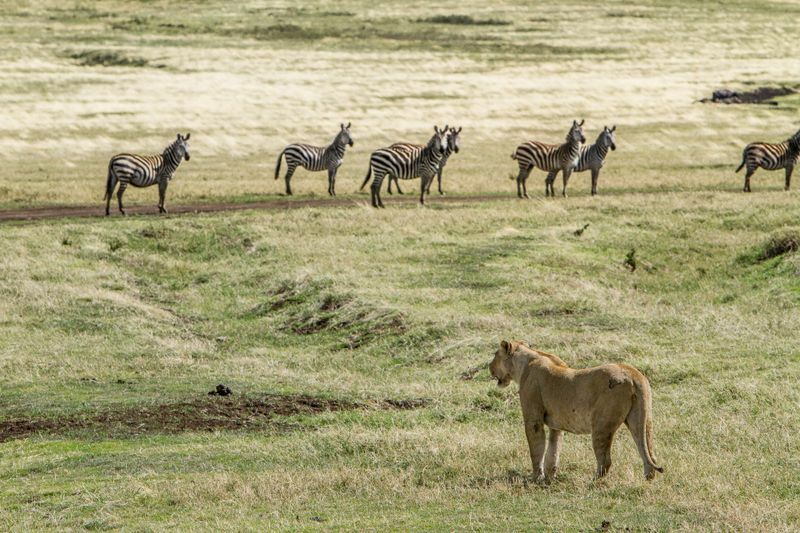 Amboseli National Park and Maasai Mara are currently protected by the Kenya Wildlife Service (KWS), which has shown great results in their struggles against poaching. They are often referred to as the Gentle Giants. Both males and females can grow tusks up to 6.5 ft (2 m) long. Their long, curved tusks are actually upper incisors. Males can grow up to 13 ft (4 m) tall and can weigh up to 6.6 tons. They are giants indeed, but they are not so gentle when they feel threatened. Protective of their young and family, they will defend themselves and attack if necessary. They do prefer to run to avoid a confrontation. Nevertheless, an elephant stampede is not something you’d want to be close to! Tanzania is currently home to 42,870 savanna elephants scattered along the country’s national parks and nature reserves. 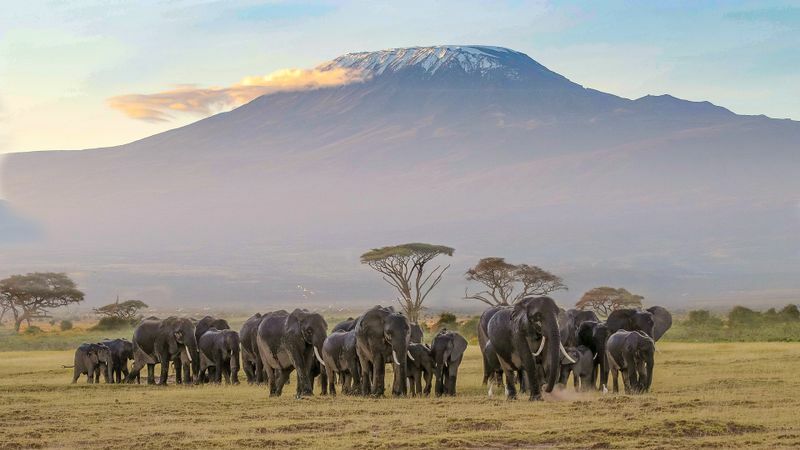 Despite the numbers, wildlife organizations warn us that Tanzania’s elephant population might become extinct if serious measures are not taken soon to reduce poaching. The population has declined by 60% over the last five years. Selous Game Reserve, a UNESCO World Heritage Site and Tanzania’s largest nature reserve, has seen an increase in poaching. 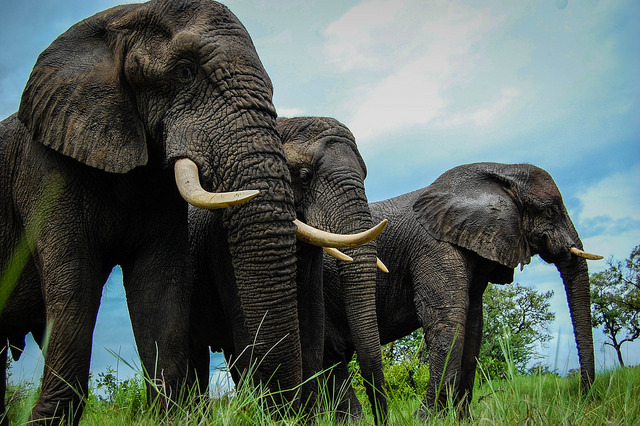 On average, 2,500 elephants are lost each year to poaching in these parts. Some 40 years ago, Selous was home to 110,000 elephants. Around 15,000 are left today – a historic low. The trunk of an elephant has 100,000 different muscles and is used for a variety of daily tasks – grabbing, lifting, digging, keeping balance, drinking, detecting vibrations. Oh, and smelling. They make excellent shower heads too! Africa’s second largest savanna elephant population can be seen in Zimbabwe, where approximately 82,300 individuals roam the country’s dramatic landscape. Numbers remain steady in some parts of the country, while in others they are drastically dropping. Northern Zimbabwe population experienced a decline of 74 percent over the last years, while the biggest concentrations can be found along the Zambezi River and in Hwange National Park. 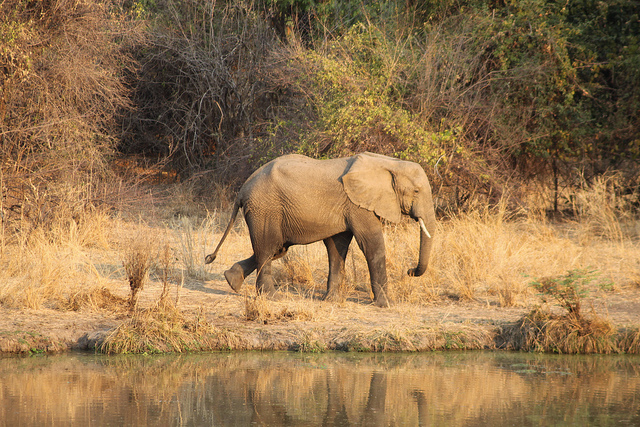 Although the population has slightly decreased over the last years, Botswana remains Africa’s elephant stronghold. 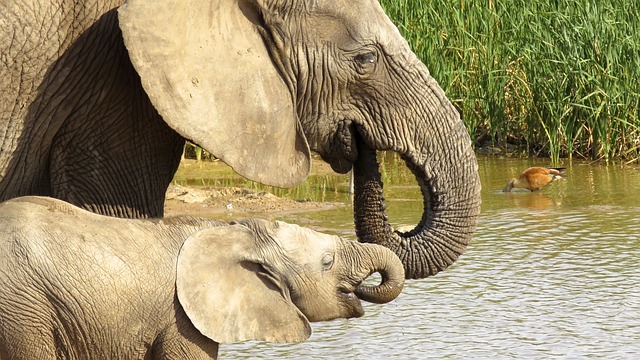 The country is home to the continent’s largest elephant population – 130,451 individuals according to the last census. It hosts one-sixth of the world’s elephants. How did Botswana manage to keep its numbers high? 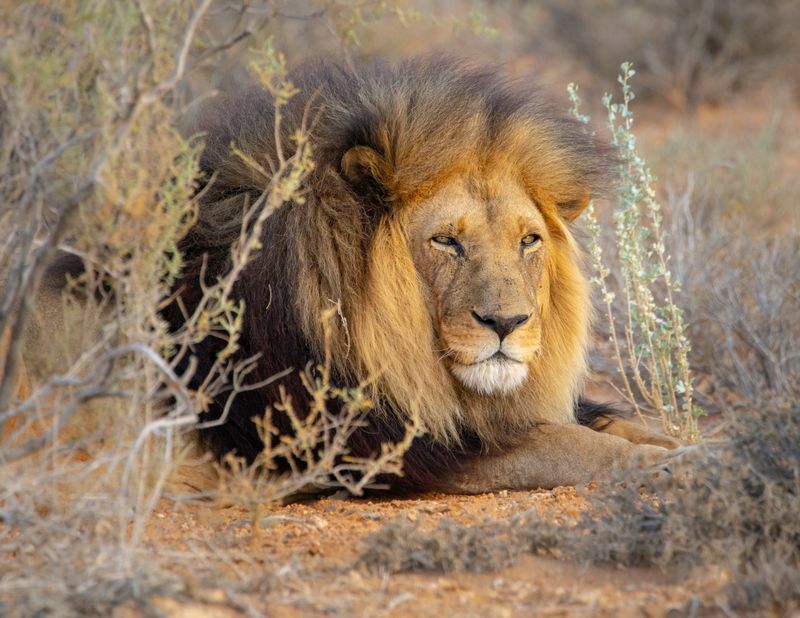 One of the main reasons is that these gentle giants seek refuge in these realms, fleeing neighboring countries like Zambia, Zimbabwe, Angola and Namibia where political unrest and poaching continues to decimate their numbers. During the dry season, Chobe National Park counts around 50,000 individuals, and they are said to be some of Africa’s largest specimens. Alongside, the Okavango Delta is a favorite among elephants who simply adore these flooded grasslands. Elephants have been observed to drink as many as 52 gallons (200 liters) of water at a time. A UNESCO World Heritage Site, the delta offers “political refuge” to a number of endangered animals that continue to migrate from neighboring countries. An impressive way to observe elephants in their natural habitat is during a mokoro safari, a traditional dug-out canoe used in the Okavango Delta. 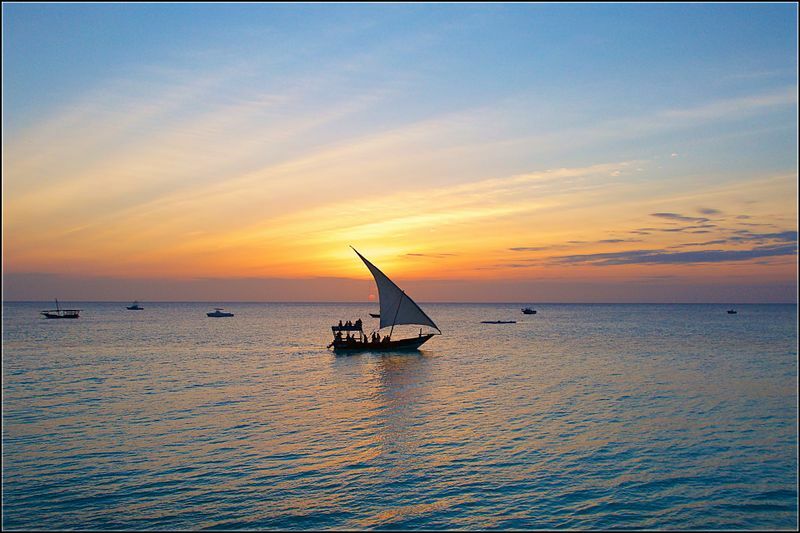 Tourists can see them spending time in the water and taking mud baths, which protect them from parasites and the sun. If they’re lucky, they might even see elephants swimming. During the rest of the day, they mostly search for food – they eat around 300 lbs (136 kg) of food daily, which consists mainly of grass, bark and other plants. At the beginning of the 20th century, there were somewhere between three and five million elephants roaming the African bushes. According to the latest Great Elephant Census, 352,271 wild savanna elephants are currently residing in Africa. Despite their dwindling numbers, they remain an example of resilience. They have been around since the ice age, when mammoths wandered the Earth, and will probably continue to adapt to the ever-changing environment. With a little bit of help from our part, their situation might just take an unexpected turn for the better. There’s nothing quite like being face to face with the largest land mammal on Earth. 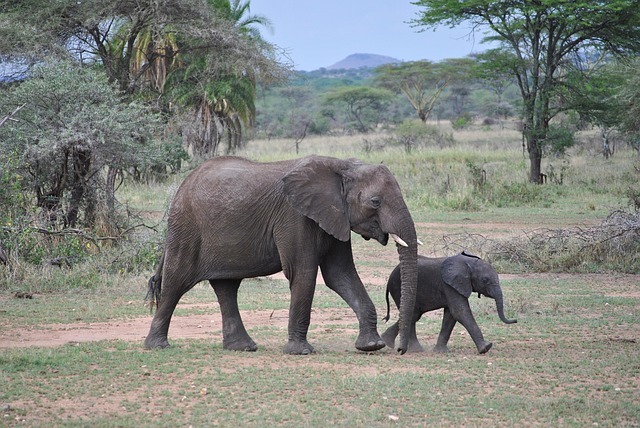 For a truly unforgettable experience, go to BookAllSafaris.com and choose among hundreds of African safaris that are guaranteed to show you just how awesome elephants really are!